Your itinerary includes some good beach time at Anse Lazio and Anse Georgette. There's lots more to do: delve into the lush surroundings at Vallee de Mai Nature Reserve, tour the pleasant surroundings at Anse Volbert, step off the mainland to explore Curieuse Island, and examine the collection at Praslin Museum. To see photos, ratings, maps, and more tourist information, you can read our Praslin Island trip planner . Mumbai, India to Praslin Island is an approximately 6.5-hour flight. You can also do a combination of flight, car, and ferry. Traveling from Mumbai to Praslin Island, you'll gain 1 hour due to the time zone difference. 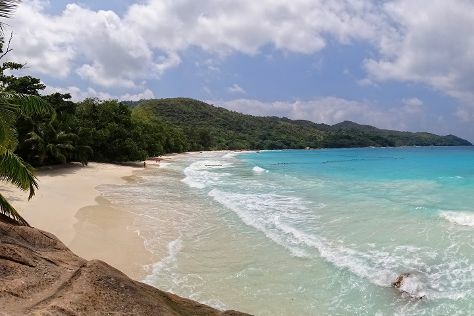 Traveling from Mumbai in December, plan for somewhat warmer nights in Praslin Island, with lows around 28°C. Finish your sightseeing early on the 17th (Mon) to allow enough time to ride a ferry to La Digue Island. On the 18th (Tue), stroll through Anse Fourmis, kick back and relax at Grand Anse, and then enjoy the sand and surf at Anse Source D'Argent. For other places to visit, ratings, and tourist information, go to the La Digue Island planner . La Digue Island is just a stone's throw from Praslin Island. 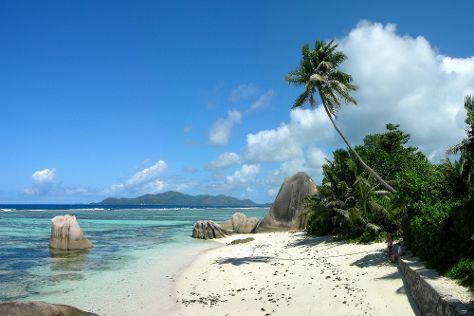 In December, daily temperatures in La Digue Island can reach 36°C, while at night they dip to 28°C. Wrap up your sightseeing on the 18th (Tue) early enough to ride a ferry to Victoria. Victoria is the capital city of Seychelles and is situated on the north-eastern side of Mahé island, the archipelago's main island. On the 19th (Wed), tour the pleasant surroundings at Petite Anse and then tour the pleasant surroundings at Beau Vallon Beach. For maps, more things to do, reviews, and other tourist information, you can read our Victoria journey tool . Getting from La Digue Island to Victoria by ferry takes about 1.5 hours. Other options: do a combination of ferry, flight, and car. December in Victoria sees daily highs of 35°C and lows of 28°C at night. On the 20th (Thu), wrap the sightseeing up by early afternoon so you can travel back home.